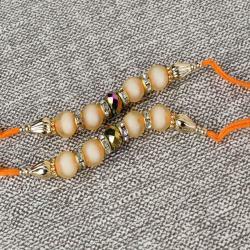 Product Consist: Combo of Two Marvellous Multi Stone Rakhi. To convey, your overflowing love for you sister, just buy the Combo of Two Marvellous Multi Stone Rakhi set gift and present it to her. 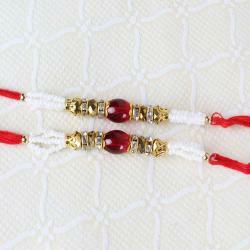 This Rakhi set works well for conveying your love, and it brings more beauty to your relationship. 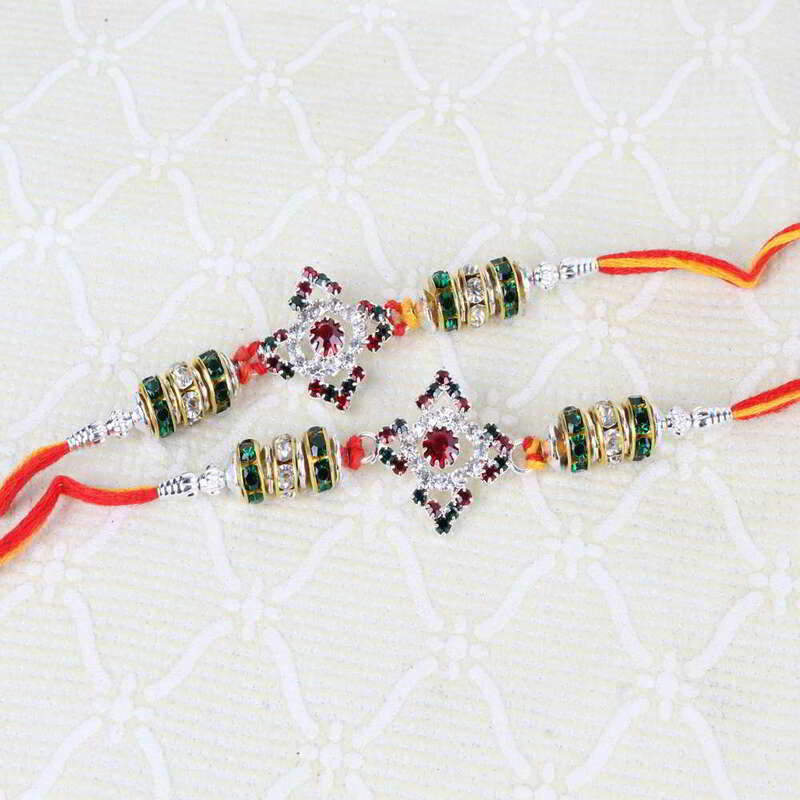 If you are not able to celebrate the Rakhi festival with your brother or sister, you can just buy and send right Rakhi set to them. As a result, it brings love and memories to you at the time of using it. 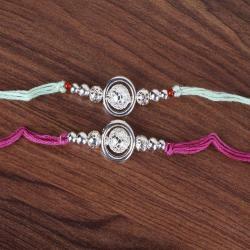 Over the online store, set an option to order same design and colors for your brothers and sisters. Therefore, it brings special attention among the buyer online. 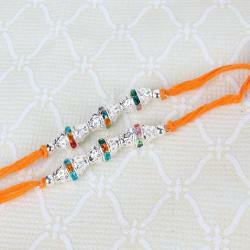 Product Consist: Combo of Two Marvellous Multi Stone Rakhi.